This 1st birthday cake was for another one of my clients; super light and springy white cake filled with a vanilla bean buttercream and decorated with multicolored fondant covered sable cookies. Wallah, hopefully a very memorable 1st birthday cake, indeed. I knew I really had to make this cake special and super childish because after all, 1st birthday's are ones that will be cherished forever! The cake is by far the most important part. This cake was absolutely enormous weighing in at close to 25lbs! It consisted of 3-10 inch layers all smothered with rich swiss meringue buttercream and I sure as heck wasn't worried that it wouldn't feed a total number of 25 people at the birthday party. 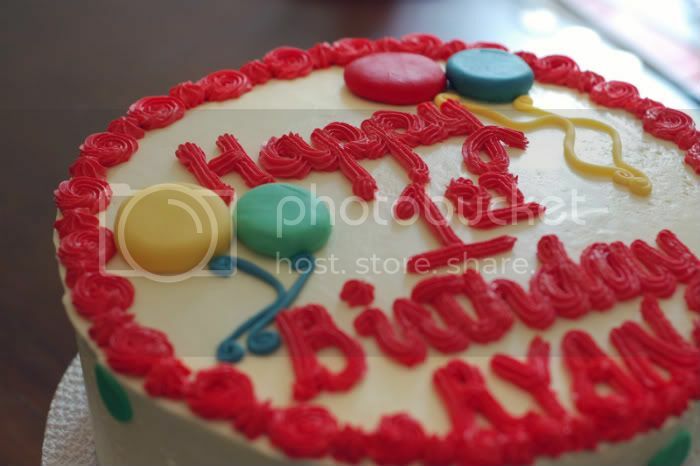 I baked dozens of chocolate and vanilla sable cookies which were shaped exactly like balloons, so I covered each one in a different color fondant and rolled some fondant into "string-like" structures as the base of each balloon. 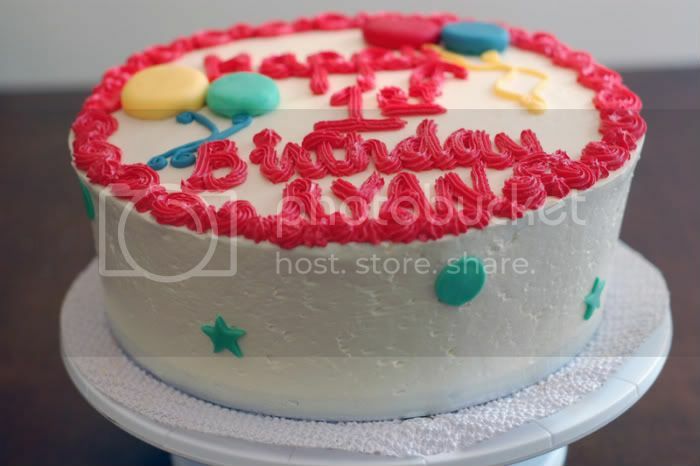 Like I stated in the previous post, if you are interested in special occasion cakes, cupcakes, cheesecake, pies, cookies, brownies, and what have you--email me! How fun is this cake? Sounds like you covered the bases for both the adults and the kids. I am just starting a fondant class and am excited to see some ideas for creating fun cakes since I am really not the royal icing/fondant flowers type! 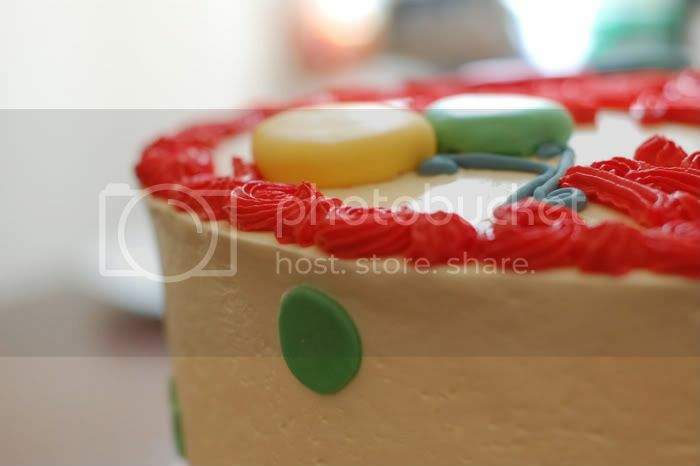 The border at the top of the cake is very clever and is a great inspiration - thanks for sharing! Absurd foodie who loves to bake, loves her dogs, and loves being creative in the kitchen. Aspiring bakery owner...a girl can dream, can't she?